This year's London Coffee Festival is home to a coffee-lover's dream, the True Artisan Café – a chance to indulge in London's best coffee offerings all in one convenient location, a pop-up coffee shop in the Soho Zone of the festival. 2012 brings the launch of La Marzocco's True Artisan Café, a unique coffee experience for the festival and for London itself. It's the only place to be this April to get some of London's best independent coffee shops all in one location! This pop-up coffee shop is a perfect opportunity to experience the best of the best, with baristas from around 18 micro-roasteries and coffee shops bringing their signature drinks for your enjoyment. The baristas will have three-hour slots over the three days of the festival, with an assortment of different blends, roasts and recipes to discover. An opportunity to find your new favourite is waiting, and with so much on offer you're sure to find something you love! While you're watching the talented baristas at work, you can bask in the knowledge that it's all for a good cause! Project Waterfall is the festival's chosen charity, with proceeds from not only the True Artisan Café but other areas of the festival supporting their current project: bringing clear water to 7,000 people in the Chini Ward of the Mbulu District. For just a small price, you get to sample a delicious blend and support a charitable cause whilst experiencing the craft of third wave coffee. 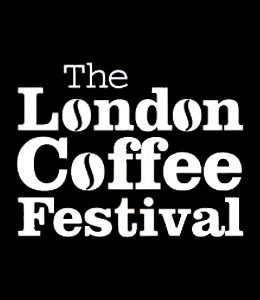 There's so much more to see at the London Coffee Festival! Fancy discovering delicious delicacies to go with your steaming coffee? Head to the Shoreditch zone for ready-made delights including hog roasts and Mexican food in the Street Market, or build a gourmet feast at the Artisan Market with cheeses, breads and meats. The festival isn't just a haven for coffee fanatics, and with a Tea Garden, Chocolate Factory and live music, there is so much on offer for all tastes. There's no reason not to explore, so we look forward to seeing you there over something delicious!